Kittinger: First Man in Space? Before Yuri Gagarin orbited Earth, one man made an extraordinary trip beyond Earth's atmosphere. Can he claim to be the first man in space? Project Excelsior III was the American Air Force’s mission to test high altitude bailouts. As part of this mission Colonel Joe Kittinger became the first man to enter space. Kittinger entered the stratosphere in a helium balloon – reaching a height of more than 30km – on 16th August 1960. With only a pressure suit to protect him, Kittinger jumped from his gondola at 31km and was freefalling for nearly five minutes, reaching speeds of almost 1000km/h. The first man to orbit the Earth was Soviet cosmonaut Yuri Gagarin in 1961. But technically, he wasn't the first one to enter space. Just eight months earlier, American Air Force officer Joe Kittinger took the first step by making a perilous expedition past Earth's inner atmosphere, to an altitude of 31km. Not in a spacecraft, but in a helium balloon! Col Joe Kittinger, US Air Force – "This was the first time anybody had ever been to this high an altitude. 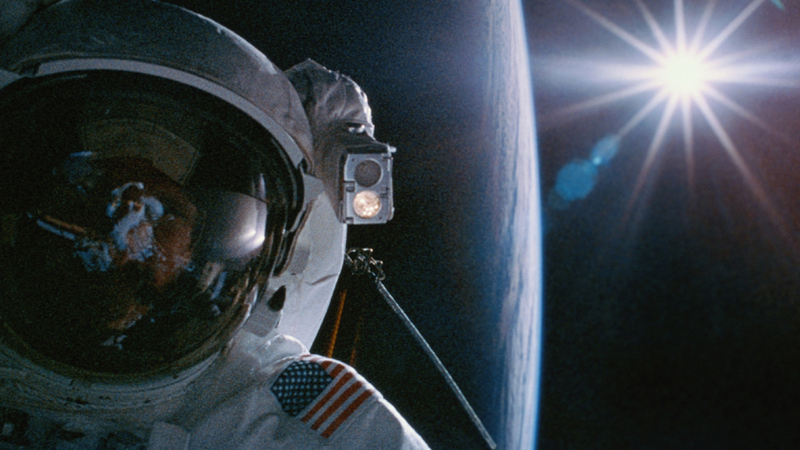 It was the first time man had ever been in an actual space environment. So I had some concern about what was going to happen." Kittinger was a participant in Project Excelsior III, a mission to test high altitude bailouts. He knew more than anyone how dangerous the mission was – on a previous attempt a malfunction in his equipment had caused him to lose consciousness, almost killing him. Over the course of 1.5 hours, the Helium balloon attached to Kittinger's gondola passed out of the troposphere, and into the stratosphere, to a height that no human had ever reached. Col Joe Kittinger, US Air Force – "I could see the clouds below and the atmosphere, the...the haze layer. It was a...it was a very profound feeling that I had. The realisation of really just how hostile that environment is and it's only 20 miles above our Earth." After reaching his destination of more than 30km above the Earth, it was a case of now or never. If Kittinger travelled any higher, his pressure suit wouldn't protect him from the thin atmosphere and extreme cold. Col Joe Kittinger, US Air Force – "I said my silent prayer, I hit the button to start the cameras working, and I jumped from the gondola. And I turned over on my back and the balloon was racing into the heavens - I mean at a fantastic rate - to me it was just flying away. And what it was, the balloon was standing still and I was the one that was falling, so rapidly." He free falls for a record breaking four and a half minutes, reaching speeds of almost 1000km/h. On August 16 1960, when space exploration was still just science fiction, Kittinger travelled to the unknown heights of the stratosphere – and standing on the edge of outer space, took the highest step in the world.